A couple of days ago I was running (I use that term very loosely) on my treadmill, watching a DVD sermon by Louie Giglio... And I was BLOWN AWAY! I want to share what I learned.... He (Louie) was talking about how inconceivably BIG our God is... How He spoke the universe into being... How He breathes stars out of His mouth that are huge raging balls of fire.. Etc. Etc. 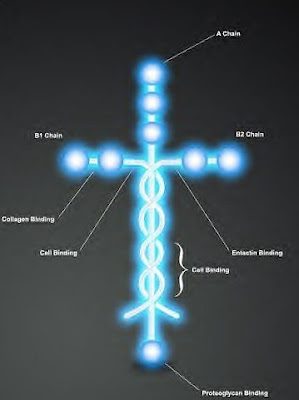 Then He went on to speak of how this star-breathing, universe creating God ALSO knitted our human bodies together with amazing detail and wonder. PEOPLE IN MICHIGAN and NEW YORK NEED TO TAKE A LESSON FROM THE SPANIARDS! In Spain, at Sevilla. Some local people found a way to stop the construction of another mosque in their town. 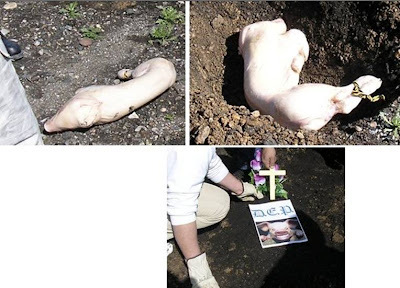 They buried a pig on the site, making sure this would be known by the local press. The Islamic rules forbid the erecting of a Mosque on "pig soiled ground". The moslems had to cancel the project..this land was sold to them by government officials. No protests were needed by the local people...and It worked !!! Arriving at the Gates of Heaven, Barack Obama meets a man with a beard. "Are you Mohammed?" he asks. "No my son; I am Peter. Mohammed is higher up." Peter then points to a ladder that rises into the clouds. Delighted that Mohammed should be higher than Peter, Obama climbs the ladder in great strides, climbs up through the clouds and comes into a room where he meets another bearded man. He asks again, "Are you Mohammed?" "Why, no." he answers. "I am Moses. Mohammed is higher still." Exhausted, but with a heart full of joy, he climbs the ladder yet again; he discovers a larger room where he meets an angelic looking man with a beard. Full of hope, he asks again, "Are you Mohammed?" "No, I am Jesus. You will find Mohammed higher up." Gov't at work for you..
Kinda’ funny, kinda’ sad because it is so true! But today, I overheard two farmers talking, and one of them said he had hired a bull to 'Service' all his cows. BAM!!! It all came into focus. Now I understand what all those agencies are doing to us.